Today we’re exploring 5 portals between Alfama and Mouraria that will impress you. While some are more mysterious, others have curious stories to tell. 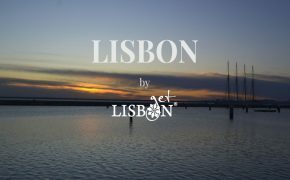 Come discover them in this tour around the heart of Lisbon! 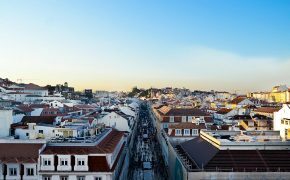 Head to Alfama, more specifically to the Chafariz de Dentro Square, and begin the route by going up the Rua dos Remédios. 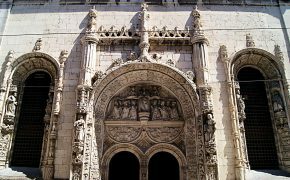 Your attention will immediately be caught by the magnificent Manueline portal of the Senhora dos Remédios Church, former Espírito Santo Church, but it’s not this one we’re telling you about today. Why not? Because it is still located in its original place despite all the vicissitudes and transformations that the church has suffered throughout the time. The 5 portals between Alfama and Mouraria that we bring to you today have been placed out of context. We might not know a lot about their history, but a brief look is enough to realise that the buildings where they’re located are way more recent. While going up the Rua dos Remédios, we’ll find the Calçadinha de Santo Estêvão and it’s in the no.2 that we find the first of the 5 portals. A portal from the 16th century with plant-inspired motifs: trunks and flowers. Where did it come from? Is it a recovered element from the countless ruins of the dreadful earthquake of 1755? Most likely, but since we can’t confirm it, let’s stick to contemplating this old testimony. Take the chance to admire the picturesque streets of Alfama while you head towards Downtown, where the second of our 5 portals between Alfama and Mouraria awaits us. In the crossroad between Rua da Conceição and the Rua da Madalena, right next to the roman inscriptions of the Pedras Negras you can find the Madalena Church. 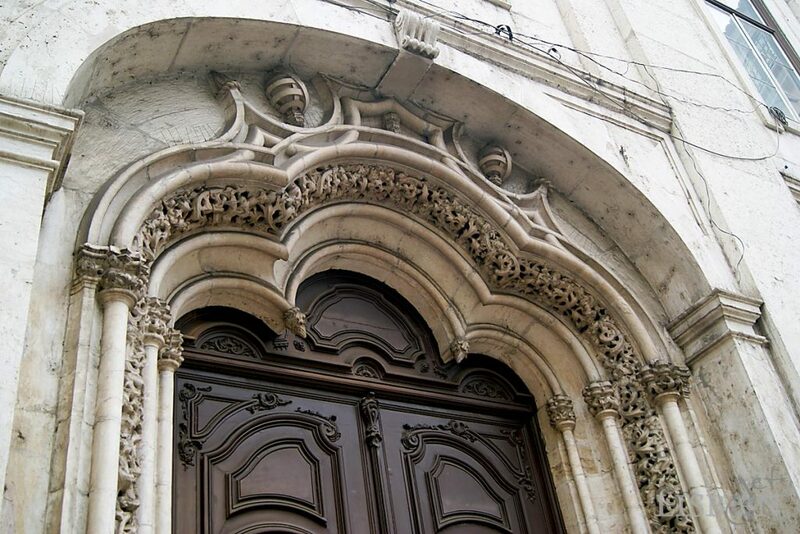 Admire its magnificent portal that features many of the characteristics of the Manueline style: compound, trilobed and reverse curved arches, and adorned with plant-inspired elements and armillary spheres (which might be a result from a stylistic restoration). But we mentioned that the 5 portals between Alfama and Mouraria were displaced. We’ll thus reveal to you where this architectonic element you’re seeing came from. With the earthquake of 1755, all of the constructions of the low part of the city of Lisbon were destroyed, among them, countless churches. At the time, there were four churches very close to each other: the Church of Conceição Velha, the Church of Conceição Nova, the Misericórdia Church and the Madalena Church. The first one belonged to the Friars of the Order of the Friars of Christ, who were relocated there by King Manuel I that had ordered the synagogue of the Judiaria Grande (Jewish Quarter) to be transformed into a church, an unutilised building after the forced conversion of the jews. The second one was the new parochial church, also devoting the Immaculate Conception, being thus named Conceição Nova (New Conception). They were both razed to the ground, and their rebuilding never took place. The urbanisation plan that gave origin to the Pombaline Downtown opted to rebuild the Misericórdia Church that was renamed Conceição Velha (Old Conception), as it became the friars’ new address. And lastly, the Madalena Church, also rebuilt, received the Manueline portal of the original Church of the Old Conception that was recovered from the rubble. 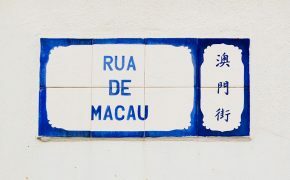 Let’s continue our journey by going up Rua da Madalena towards Mouraria. 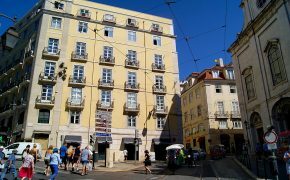 On arriving to the Caldas Square and entering Rua do Regedor, right in the no.2, on our right side, we can find the third of the 5 portals between Alfama and Mouraria. 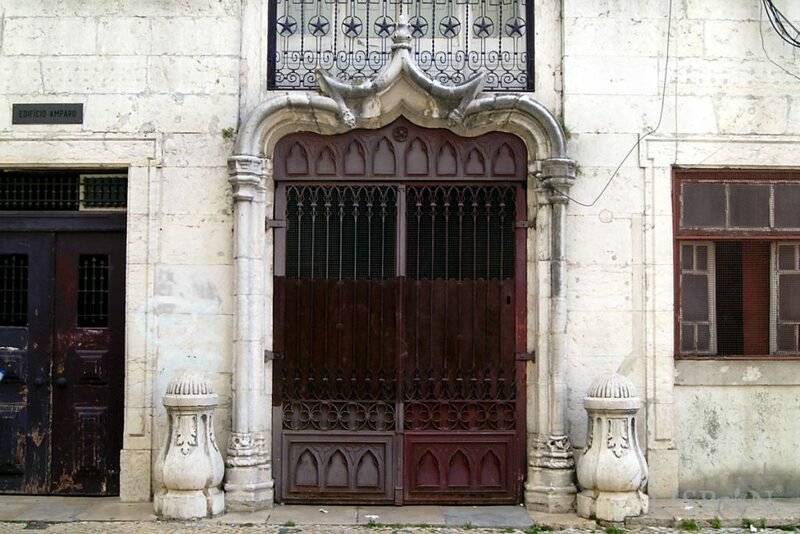 It is the side portal of the old Palace of São Cristóvão or Vagos Palace, where in 1452 the wedding of the princess Leonor, daughter of King Duarte, and of Frederick III, Holy Roman Emperor took place. The building suffered countless interventions throughout the time: extensions, reconstructions, additions, deep transformations that changed its appearance and use. In the 16th century the palace will have undergone a reform, being the portal that you now observe from that period. However, this was not its original place; as proof we can see it isn’t properly adjusted to the pavement. 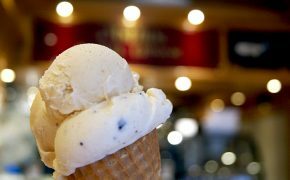 Let’s immerse ourselves again in a typical neighbourhood of Lisbon, the Mouraria. Narrow streets and 16th century houses catch our eye, but the way to our next stop is pretty straightforward. Cross the São Cristóvão Square and go straight ahead through Rua de São Cristóvão, Rua das Farinhas, Rosa Square and Rua Marquês Ponte de Lima and then turn right on Rua da Guia where you will find the Severa Square and the Rua do Capelão, address of the mythical fadista (fado singer) Maria Severa Onofriana (1820-1846). Here you will find many references to fadistas: the bust of Fernando Maurício, evocative plaques, tributes… but that’s a whole other story! 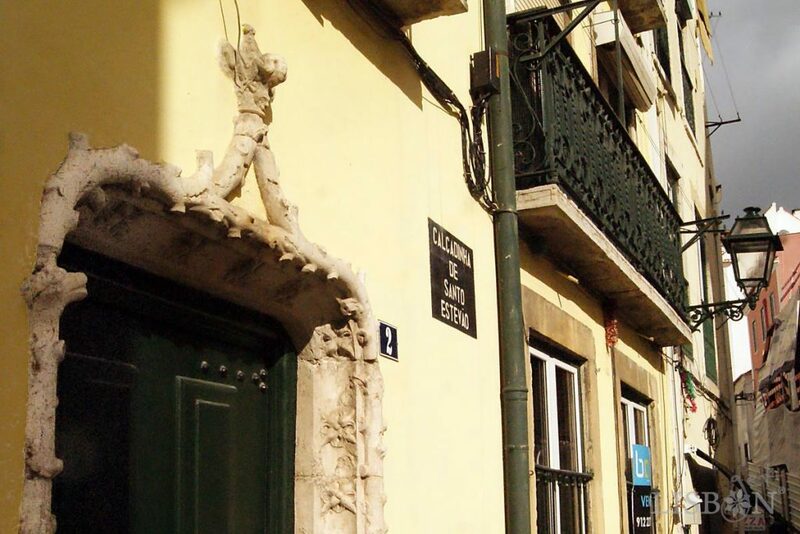 We mustn’t forget our mission to discover the surprising 5 portals between Alfama and Mouraria. Already without a plaque, but we know it was no.9 in Severa Square, we come across a discreet portal with a flat arch, constituted by very old stones that frame a modern door. 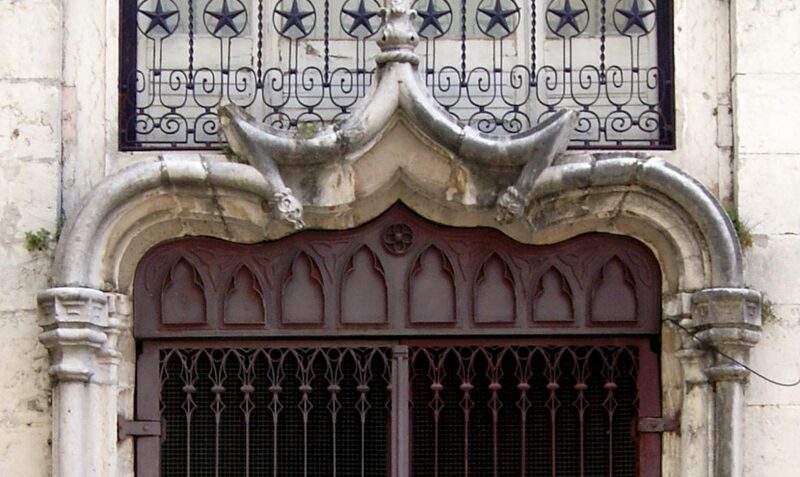 We are surprised by the lintel sculpted in symmetry with christian symbols of protection: Rose Windows, Keys of Heaven, Six-petal Rosettes, Fleurs-de-Lys, and the central motif which has been lost, but that we assume to be a Scallop. It has undoubtedly been recovered from a ruin, but the origin of this curious stone might remain forever a mystery. 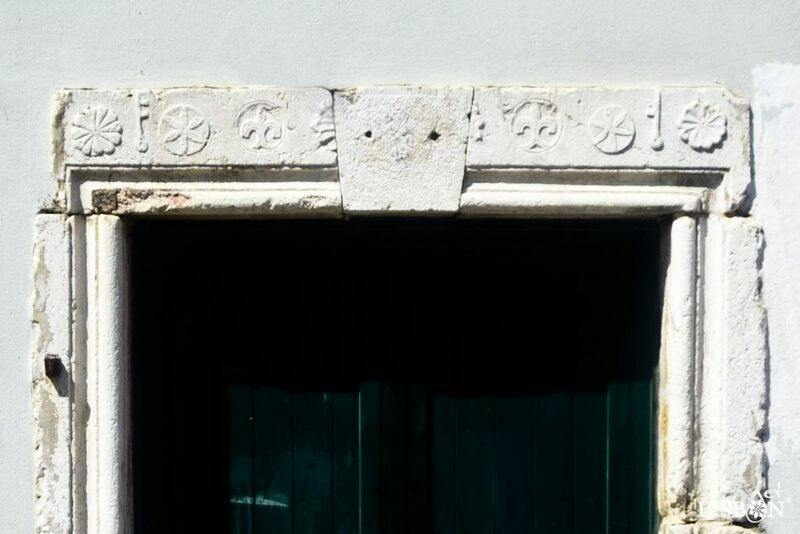 The Lisbon specialist Norberto de Araújo states that the toponym Rua da Guia (directly translated as Guide Street) has its origin on the 18th century and is related to the existence of a small altar attached to a wall, where the locals used to gather in the evenings to pray together. Can these stones come from this long gone altar? Let’s continue down the Rua do Capelão until we reach Rua da Mouraria. 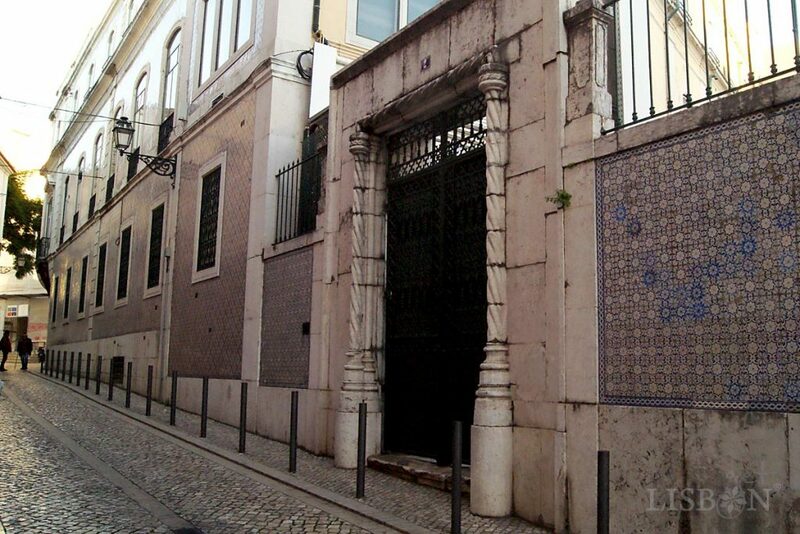 We’ve almost reached the Martim Moniz Square, but not before we see another magnificent portal: the fifth and last portal of our route 5 portals between Alfama and Mouraria. This one has a very curious history. The College of the Orphan Boys of the Invocation of Our Lady of Monserrate had its origin in 1273 on the initiative of Queen Brites, wife of King Afonso III. In 1549 another Queen, Catarina, wife of King João III, ordered this building renovated and the portal we observe now is from this period. Once again, this is a deeply transformed building, but even if this portal is in its place of origin, although the building is no longer the original one, one thing is for sure: it collapsed and was hastily rebuilt. If we look closely we can see that the bases of the columns are placed on top, in the place of the chapiters, and the chapiters in the place of the bases. The fact that all of these architectonic elements have been moved from their original places can surprise the reader, but we must remind you that until the 18th century, there was no concern regarding the preservation of buildings. That is, when practical or aesthetic functionality was compromised, transformations and additions were carried out. If its function were to cease to exist, the elements that constituted the buildings were simply demolished and recycled. There was no waste! Let us rejoice at the existence of these portals displaced from their original location. They surprise us by telling us not only about themselves but also about our ancestors who have appreciated and reused them.